Mijn meest recente catalogus Sculpta Manent. Beelden en Reliëfs uit het Noorden (ca.1300-1600) (cat. nr.19) is vanaf vandaag online beschikbaar. In deze catalogus presenteer ik dertig sculpturen uit de late middeleeuwen en de renaissance, waarvan het overgrote deel in de toenmalige Nederlanden is ontstaan. Vooral Brussel, het toonaangevende centrum in de 15de eeuw, is met een tiental beelden en retabelgroepen zeer goed vertegenwoordigd. Maar ook Antwerpen, Mechelen, Limburg, Vlaanderen, Leuven, Henegouwen, Amsterdam en Utrecht komen aan bod. Tenslotte is er in deze catalogus ook een aantal beelden opgenomen die vervaardigd zijn in enkele omliggende centra, met name in Picardië, Parijs, Keulen en Saksen. De dertig in deze catalogus gepubliceerde Beelden en Reliëfs uit het Noorden (behalve Het Retabel van Loyat (cat. nr.4)) zijn vanaf vandaag te bezichtigen in mijn galerie te Antwerpen. De ivoren spiegel die ik in mijn tentoonstellingscatalogus Als ic can (januari 2010) heb gepresenteerd. heb ik voor een periode van 10 jaar (2010-2020) in bruikleen gegeven aan The Metropolitan Museum of Art in New York, waar zich zijn pendant bevindt. Het is sinds de veiling van de collectie van Frédéric Spitzer (1893) geleden dat beide helften nog samen tentoongesteld werden. Bernard Descheemaeker - Works of Art was founded in September 2000 and is specialised in objets d'art from the Middle Ages and the Renaissance (c.1150-1675). My website provides you with an overview of my collection. You can read my newsletters and catalogues online. The website also provides details of my own exhibitions. Under sales to museums you will find an overview of more than 50 paintings and works of art which I have sold to Belgian and foreign museums since 2001. This website is updated at regular intervals. Add it to your list of favourites and visit it regularly. My latest catalogue Sculpta Manent. Sculptures and Reliefs from the North (c.1300-1600) (cat. no.19) can be accessed online as from today. I am pleased to present thirty sculptures from the late Middle Ages and the Renaissance in this catalogue, the majority of which originated in the former Netherlands. Especially Brussels, the leading centre in the 15th century, is prominently represented with more than ten sculptures and altar groups. But Antwerp, Malines, Limburg, the County of Flanders, Louvain, Hainaut, Amsterdam and Utrecht are also featured. Last of all, there are also a number of sculptures included in this catalogue which were produced in several neighbouring centres, namely in Picardy, Paris, Cologne and Saxony. 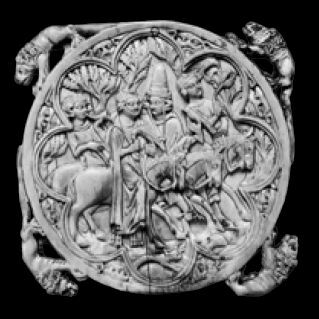 All thirty Sculptures and Reliefs from the North illustrated in this catalogue (with the exception of The Retable of Loyat (cat. no.4)) are on view at my Antwerp gallery (from today). Please call or e-mail me to set up an appointment at your convenience. 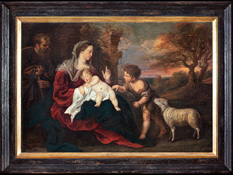 In order to express the special bond I feel between myself and the Rubens House (Antwerp) and also in appreciation of the documentation centre connected with it (the so-called Rubenianum), I am allowing the painting The Holy Family with Saint John (Gerard Seghers, Antwerp, c.1638-1643 ; oil on canvas: 72 X 102 cm) to go on loan to the Rubens House for a 5-year period (2014-2019). See also: catalogue 9 (no. 23). 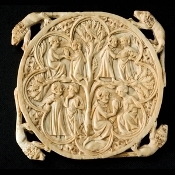 The ivory mirror that I presented in my exhibition catalogue Als ic can (January 2010) is currently on loan for a period of 10 years (2010-2020) to the Metropolitan Museum of Art in New York, owner of its pendant piece. The two halves have not been exhibited together since their separation at the auction of the Frédéric Spitzer collection in 1893. See also: catalogue 5 (page 5).